This learn-to-sail beginner program is designed for students who want to learn the basics of sailing while being comfortable on the water. Beginners will primarily be sailing Laser Pico & RS Tera sailboats with partners to learn boat parts, rigging, knots, basic boat handling, boat safety, terminology, docking, and basic capsize recovery. If you have never been on a sailboat and want to learn the basics of sailing, this class is for you. Students primarily will sail within the bay early in the week with partners and progress further outward onto Lake Dillon as skill allows. Students sail with an instructor nearby at all times. The instructor to student ratio places an emphasis on safety, fun, and learning! 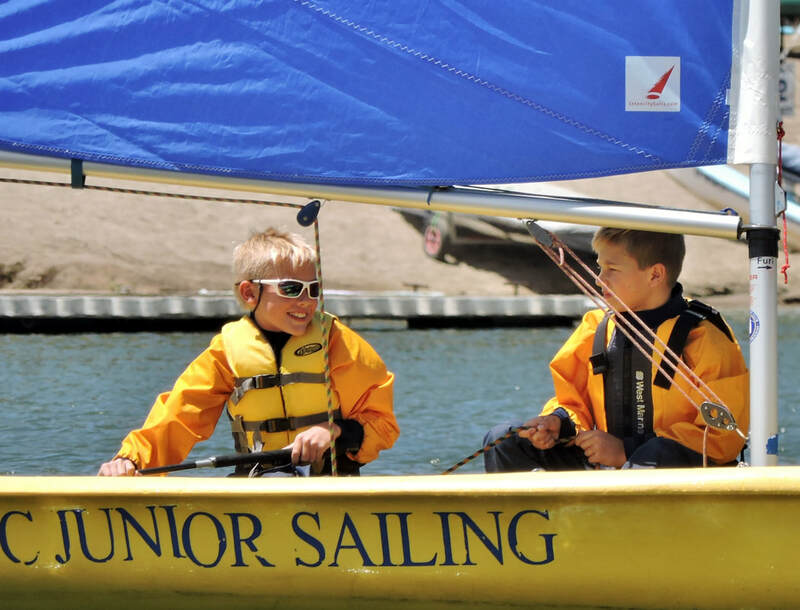 The Intermediate sailing program is for students who have either successfully completed the Beginner program with Dillon Junior Sailing, or demonstrated success in basic boat handing and knowledge from a different sailing school. 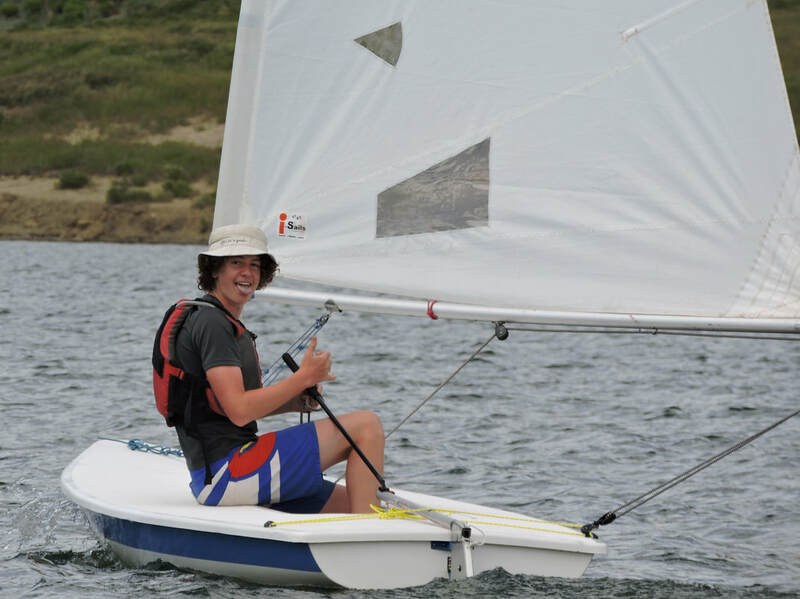 This camp works with drills and games to improve a sailor's skills, focusing on tacking, jibing, sail trim, harder knots, different capsize recovery methods, and understanding all points-of-sail. Students will primarily be sailing the RS Tera and Laser Pico single-handed. Using both single and double handed boats, we put an emphasis on team work and communication. 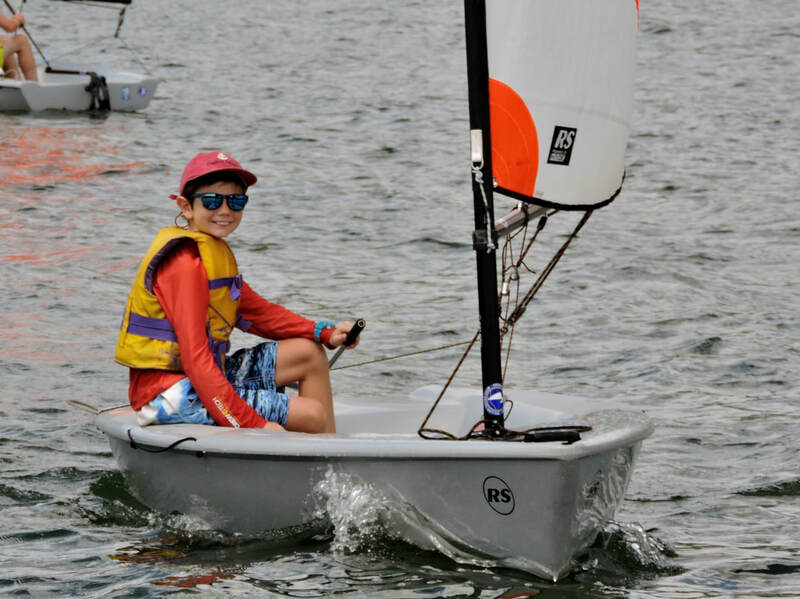 In the advanced sailing program, sailors will begin to learn the basic racing rules, basic tactics, race rigging, how to recognize and use weather and wind conditions, and how to make the boats sail faster. Students will primarily sail the RS Quba and RS Tera. This class is for anyone between 10 and 17 years old. 1. Identify starboard, port, windward and leeward. 2. Skipper a boat on all points of sail and in breeze up to 15 knots. 3. Tack and Gybe correctly, passing the tiller extension behind their backs. Check our FAQ or Contact Us with any questions you may have.